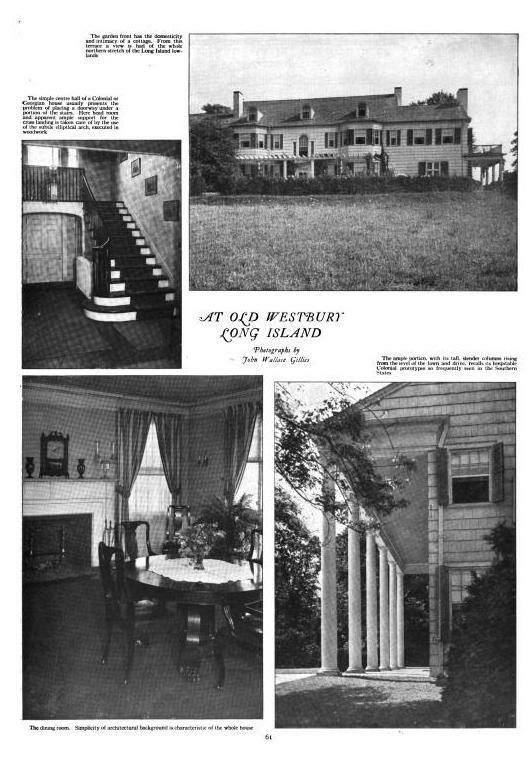 The J. Randolph Robinson estate designed by John Russell Pope c. 1917 in the Wheatley Hills with landscaping by Ellen Shipman. 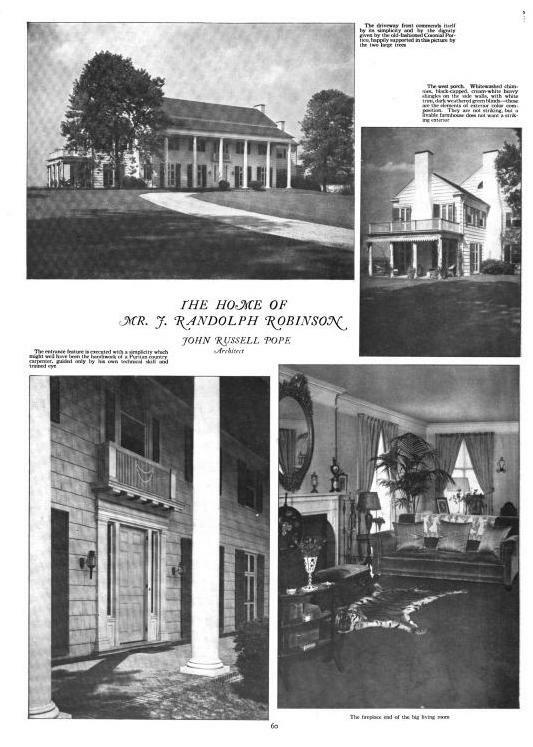 Click HERE and HERE for more on the Robinson estate. Click HERE to see the Robinson estate on google earth and HERE on bing. Interesting to see how the arteries hardened from 'The Orchard' to this model. J R Pope and E Shipman were such a winning combination; the property must have been impressive in its day. The house was very livable with that downstairs bedroom with a fireplace, bay window, and private bathroom surely a welcome asset. I suppose I should no longer be shocked, but I did actually flinch when I saw the current condition in the August 18, 2010, post. It appears that the house has been signifcantly reconfigured on the inside based on the front facade. Originally, there were five columned bays with the door in the center bay and two sets of window on either side. Now, there is the equivalent of six columned bays. Two of which have been unkindly filled in. The door is now offset from center and the addition of a first floor bay window between two windows of ordinary size replace the gracious oversized window pair of the original. Given how much the exterior has been butchered, I would hate to see the extent to which the interior has been butchered. I rather like the original in spite of the somewhat tacked on columned porch. Perhaps it is the resemblence to the house in my old favorite TV show The Big Valley that tugs an emotion for me.